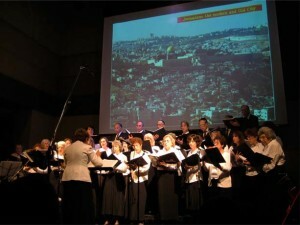 To acquaint, educate and entertain the Capital Region Jewish and non-Jewish community with the variety, richness and beauty of Jewish choral music traditions and repertoire. To reach out to Jewish people who are marginally involved in the activities of the Jewish community, and who would otherwise not participate in these activities. To encourage interdenominational and intergenerational cooperation in a Jewish activity. To promote both local and out-of-area contemporary Jewish performers and composers. To link the Capital Region Jewish community, through music, with out-of-area Jewish communities and performers. To enhance the quality of Jewish life of the Capital Region community.